The Kerner grape variety has found its true home in the rugged hills of the Isarco Valley in Alto Adige, and Manni Nössing master it better than anybody else. A true white wine gem. 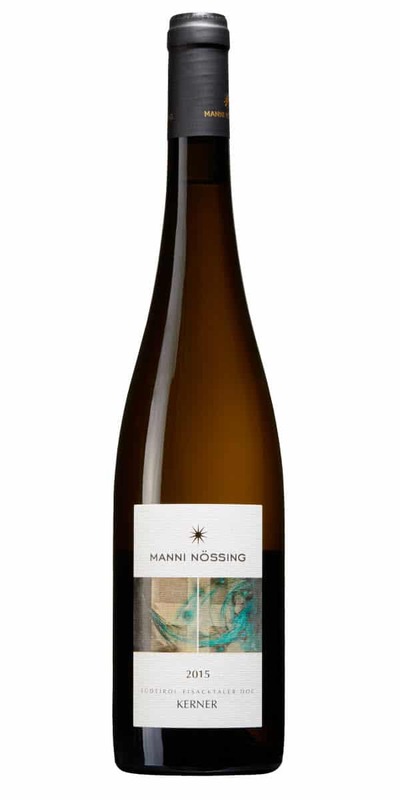 The Kerner grape variety (a German cross between Riesling and Trolling) has found its true home in the rugged hills of the Isarco Valley in Alto Adige, and Manni Nössing master it better than anybody else. His Kerner is a true white wine gem which offers rich stone fruit flavours and lively acidity. Kerner grown in Germany never reaches the pedigree complexity of Manni’s wines, and this fact relies completely on his high altitude vineyards with poor, chalky soils. Fans of densely structured white wines with great cellar potential may well have found a new favourite here.